Aw, don’t cry… we hate that you’re feeling this way, but we sure hope our smiley can help you weather the storm that calls up such tears. 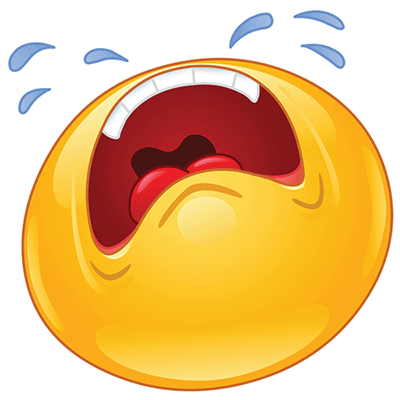 Tell them how you feel with this wailing smiley. A bad breakup, a lousy grade, or, perhaps, another one of life’s mishaps? 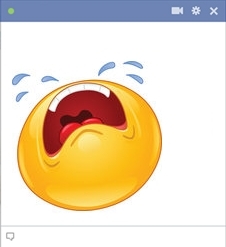 Use the wailing emoticon in your Facebook message to tell someone else how you feel and hopefully they’ll be able to cheer you up! - See more smiley faces for Facebook.